This installation at the Exeter Northcott is made up of a thousand poppies created from copies of love letters written during World War II. Some of the letters were written by an aircraft engineer in Southampton to his girlfriend, who later became his wife. He wrote to her two or three times a week for over five years. Another set of letters was written by an American GI to a WREN but their story didn’t have such a happy ending – a telegram from her father suggests his disapproval of the relationship. Other letters were kindly loaned by local people in response to a request through the local media. During my Devon Open Studios weekend in September, people brought family letters which helped to create the final installation. I’ve been creating the work in my head for a long time. It’s made in response to the space at the Northcott specially for the month of November, and inspired by these letters which were written at a time of great uncertainty and heightened emotions. Putting together the piece was a complicated process. Because it’s so tall (2.7 metres), I had to make it horizontally, and because of the shape of the niche where it’s hanging, the only practical way to construct it was upside down. I’d worked out the curve of the spiral in advance and created a plan for each layer, but my ideas remained fluid and I was constantly tweaking and recalculating as the shape developed. Rosy Seal was artist’s assistant for this project and assembled lots of the poppies. Several people helped with hanging the work, including the tech crew at the Northcott to whom I’m very grateful. 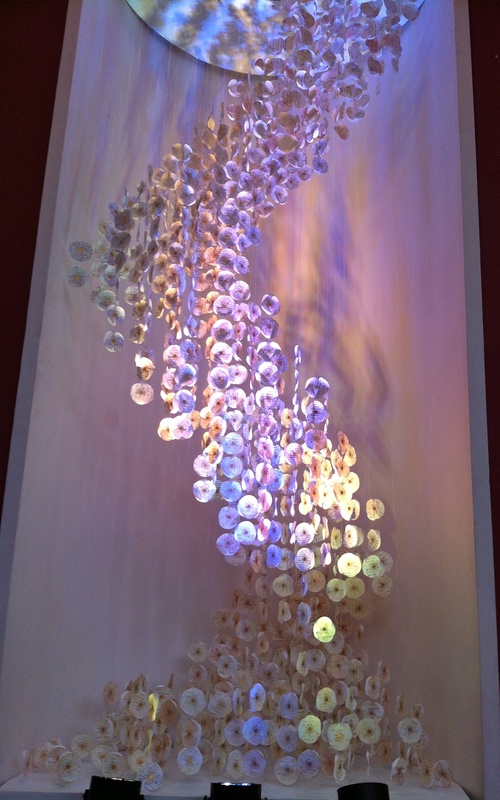 You can see the installation in the foyer at Exeter Northcott Theatre until the end of November 2012. 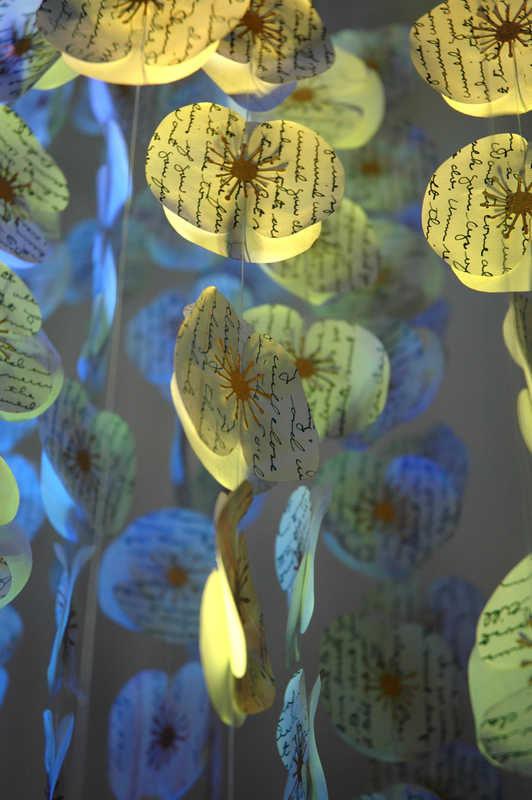 This entry was posted in Joseph Schulist, laser cutting, love letters, paper art, poppies, remembrance and tagged Exeter, Northcott, paper art, poppies, remembrance. Bookmark the permalink.